Sergey Cherednichenko, was born in 1970 in Mariupol, Ukraine. He received the Diploma with Honour in Physics in 1993 from Taganrog State Pedagogical Institute (Russia), and Ph.D. degree in radio physics in 1999 from Moscow State Pedagogical University. He has worked as a lecturer in general and experimental physics at Taganrog State Pedagogical Institute (1993-1995). He has been a visiting scientist at Chalmers University of Technology (Sweden), and Rutherford Appleton Laboratory (UK). Currently he is working at the Department of Microtechnology and Nanoscience at Chalmers University of Technology (Gothenburg, Sweden) as a post-doc (2000-2002), Assistant Professor (2003-2006), and Senior Researcher (currently). He has been leading development of terahertz mixers for the Herschel Space Observatory, and multipixel terahertz receiver for ESA. His research interests include terahertz and millimetre wave heterodyne receivers and systems, RF measurements, optical and X-ray detectors, antennas, material properties at Millimeter wave and THz frequencies (Fourier Spectroscopy), thin superconducting films technology and their physical properties. 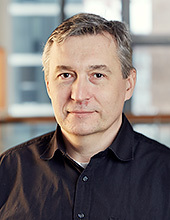 Dr. Cherednichenko has 20 papers in peer-reviewed scientific journals, 40 conference papers, large number of conference presentations (among of which 2 invited conference presentations). There might be more projects where Serguei Cherednichenko participates, but you have to be logged in as a Chalmers employee to see them.